Laurel Symes, Neukom Post-doctoral Scholar in Biological Sciences, interviewed for the journal Nature about the application of multiple working hypotheses in science. The paper cites a recent publication by Laurel, inspired by our teaching philosophy in Dartmouth's Department of Biological Sciences: A Practical Guide for Mentoring Scientific Inquiry. Climate warming brings old pests to new places, and new challenges to forest managment. Coverage in NY Times. How the coldest night affects southern pine beetles (link). Evidence for effectiveness of active suppression of southern pine beetles: Clarke and Billings 2003. Billings 2011.Evidence for effectiveness of thinning in reducing risks from southern pine beetles: Nowak et al. 2015. More on consequences of climate change for biotic disturbances in North American forests. Related press coverage: link, link. A story about a beetle. Outstanding video by Milo Johnson (Dartmouth '13) about the biology and management of the southern pine beetle. In a warmer Arctic, mosquitoes avoid increased mortality from predators by growing faster. Link. Fulbright Arctic Scholars Collaborate for One Arctic. Link. Amazing new book. Bark Beetles: Biology and Ecology of Native and Invasive Species. FE Vega and RW Hofstetter, editors. Link. Southern pine beetle extends its distribution to Long Island. NY Times. Ayres powerpoint file from talk at Bayard Cutting Arboretum on 12 Feb '15, How the coldest night affects southern pine beetles. More on consequences of climate change for biotic disturbances in North American forests. Effectiveness of active southern pine beetle suppression: Clarke and Billings 2003. Billings 2011. A story about a beetle. Outstanding video by Milo Johnson (Dartmouth '13) about the biology and management of the southern pine beetle, with special reference to NJ Pinelands. 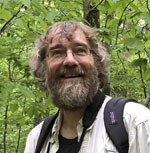 Features	interviews	with	Ron	Billings, Texas Forest Service, Amy Karpati, Pinelands Preservation Alliance, and Kier Klepzig and John Nowak, Southern Research Station, USDA Forest Service. Did the Polar Vortex freeze southern pine beetles out of the New Jersey Pinelands? NY Times. Analysis. Consequences of climate change for biotic disturbances in North American forests. More here. Sarah Ayres, former lab denizen and now Policy Analyst at Center for American Progress, interviewed on Al Jazeera America regarding high unemployment rates of Millenials in the U.S. Link. Phenology of high latitude Lepidoptera less sensitive than expected to warming. See paper by Anu Valtonen (University of East Finland and visiting scientist at Dartmouth) and colleagues in Global Change Biology. Link to paper. Press. Story on Alaska Public Radio Fairbanks KUAC. Finnish Environment Institute (SYKE). The above paper by Valtonen at al. triggered interest in the classic paper by Stephen MacLean, who, not coincidentally, was my mentor and M.S. advisor at University of Alaska Fairbanks. I am pleased to make it available here. MacLean, Stephen F., Jr. 1975. Ecological adaptations of tundra invertebrates. Pages 269-300 in Vernberg, J. (ed. ), Physiological adaptation to the environment. Intext Educational Publ., New York. Link to pdf. Gears in a jumping insect. Gears, for all the mechanical advantages that they can provide, have rarely appeared in the evolution of life on Earth. But never say never when it comes to insect evolution. Gears have just been found to be a crucial feature of the remarkable propulsive capabilities of a flightless planthopper. Nice NPR story with eye-popping videos here. 9-14-13. Sharon Martinson, former lab member, current visiting scientist at Dartmouth, and half of Littlest Birds, rocks Vancouver Folk Music Festival. Link. Two excellent videos on southern pine beetle from Rutgers Entomology: The invasion of the southern pine beetle and The southern pine beetles and its biology. A bit of forestry and magic. 3.5 minute video by Milo Johnson about the use of basal area wedge prisms in forestry. Milo Johnson's blog of video productions related to southern pine beetles, forest management, and NJ Pinelands.